Google, in other words, is driving America toward kinetic civil war, attempting to silence half the country by exploiting and abusing its position of near-monopoly power. As I write this, for example, YouTube continues to ban my entire video channel without any justification or logical reason. It’s now confirmed that Google actively censors natural health websites in order to protect the criminal interests of Big Pharma, and YouTube even shuts down entire channels for posting videos that tell the truth about CBD oil and the healing potential of cannabis medicine. In fact, YouTube actually told Natural News that CBD videos are “dangerous to society” just like bomb-making videos. These censorship claims are not merely absurd, but dangerous to society. Online censorship, in effect, has become the single greatest threat to the future of our country. The free flow of speech is just as important to society as the free flow of commerce or electricity. For biased, dangerous corporations to selectively restrict the flow of speech only for those who hold conservative or libertarian views is wholly unacceptable and will not be tolerated by free people. Cutting off freedom of speech to certain targeted groups of people is essentially denying them the human right of expression, and that means Google has become a threat to human rights. My belief on this is shared by millions of Americans: A “free society” cannot survive when the window of allowable speech is controlled by a malicious, radical, left-wing, anti-American corporate giant that colludes with Big Pharma (and communist activists) to silence free speech. Google has become, as we say, a “clear and present danger” to America. It must not merely be stopped to save America; it must be completely neutralized and stripped of all influence over the world of online speech. Google, in effect, has become the authoritarian tyrants our Founding Fathers warned us about. In the 1700s, the greatest threat to our liberties was a rogue government. That’s why we have the Second Amendment, which was written as a national immune system against government tyranny. The historical idea of the Second Amendment is that if the government tyrants get out of control, the citizens will take up arms against them and reestablish the proper level of humility in government, which only derives its power from We the People, after all. But today, the greatest threat to our liberty is a powerful, domineering corporation known as “Alphabet” (i.e. Google, YouTube, etc.). The First Amendment does not specifically restrict corporations from banning free speech, and the Second Amendment was not written for the people to take up arms against private corporations. Thus, we now face a new, grievous threat to our freedoms that our forefathers could not foresee, and for which no constitutional mechanism of defense exists. It follows that the defeat of Google cannot be achieved through purely constitutional arguments. Google must be neutralized, defeated or disbanded through other means which are not specifically stated in the United States Constitution. The best option, as explained below, is regulatory control enforced by government to demand a level playing field when it comes to freedom of expression. In my analysis, if Google’s vindictive censorship is not halted, it will eventually escalate the divide in America to the point of actual civil war (i.e. kinetic warfare between political factions). I don’t condone this outcome and don’t wish to see it occur, but when the tech monopolists crush the freedom of speech of half the country, denying them the right to speak, debate or engage in public discourse, sooner or later that half of the country will tire of living under tyranny, and they will realize the only course of action remaining to them is to physically resist the “techno tyranny” through last-resort actions (see the quote from Milo, below, for more details on this growing realization). Google no doubt knows this and is deliberately attempting to drive America into a state of civil war so that globalist-leaning Leftists can call for UN intervention, of course. The far more desirable alternative for resolving Google’s censorship plot is to force the tech giants to halt their censorship under the threat of fines or criminal arrests carried out by government. The government, in other words, needs to figuratively put a weapon to the head of Google (and Facebook, Twitter, etc.) and tell them if they don’t level the playing field, government coercion will be invoked to force content fairness upon them. If this sounds harsh, remember that all government regulatory enforcement is effectively carried out at the end of a gun. When the IRS says you have to pay up or lose your freedom, it is a threat that’s ultimately enforced by government men with guns who will take away your freedom and your property if you don’t comply. Will Republican lawmakers do anything useful, or does this end in “Facebook’s gonna get firebombed” ? None of us wish to see this break down into kinetic warfare, with squads of armed patriots occupying Google and Facebook offices across America to force an end to censorship and restore basic human rights to the internet. But in my analysis, that’s likely where this is headed if Congress doesn’t act to restore the First Amendment across the internet. 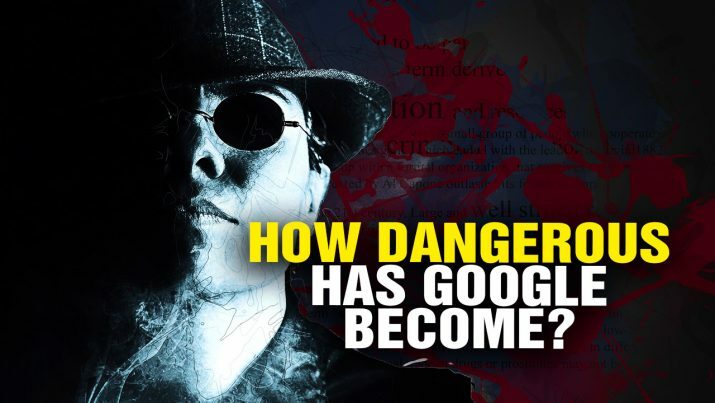 What Americans are increasingly realizing is that Google is already waging a dangerous war on U.S. soil, and that we will all lose our freedoms and liberties forever if Google’s censorship is not halted. At some point, I predict, the backlash will escalate into realms we’d all rather avoid. To help create alternative platforms and possibly avoid a civil war, I’m busy launching REAL.video, a free speech alternative to YouTube, which openly allows videos on firearms, cannabis medicine, religion and other topics that are routinely banned by Google. No doubt, Google will try to censor the entire REAL.video website, however, which brings us back to the original problem. America either forces Google to halt its outrageous censorship, or this all ends badly, no doubt. Listen to my podcasts below to learn more about REAL.video, launching July 4th (beta). You can also go to REAL.video right now to request your own video channel (it’s free).